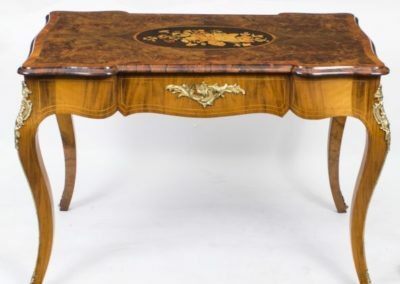 We are sorry but this table is now sold. This is an antique French library table fashioned from stylish and attractive burr walnut and featuring very nice ormolu mounts. 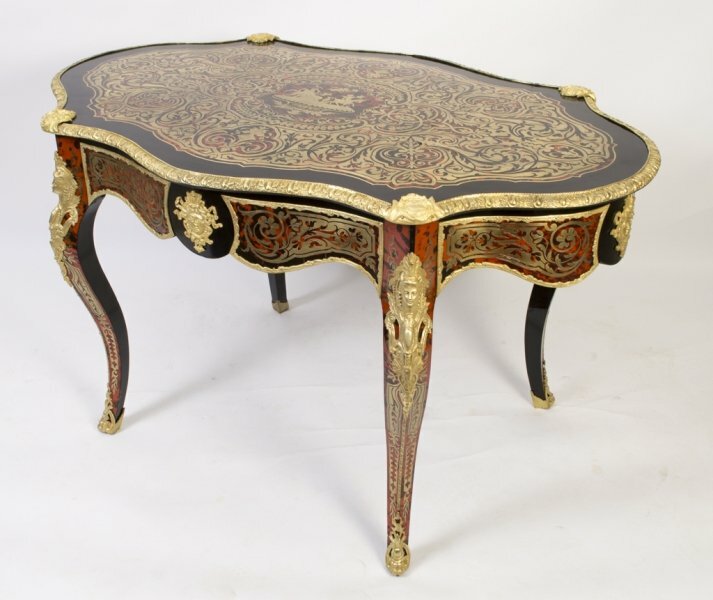 It is dated by our team to around 1870. 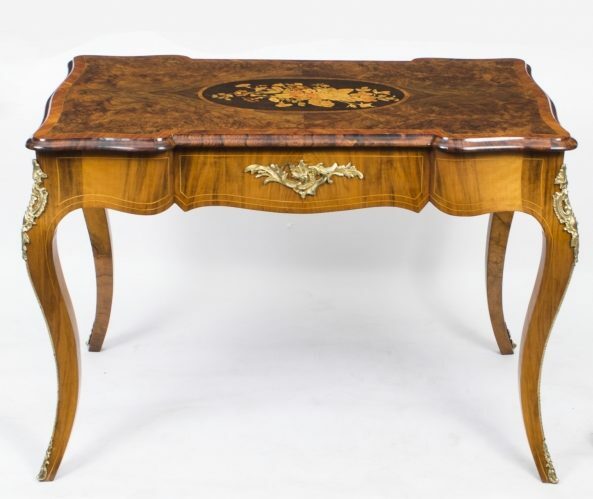 As you can see, this is a very decorative antique French writing table, or Bureau Plat, that has been expertly crafted from the finest burr walnut and features which lovely kingwood banding. 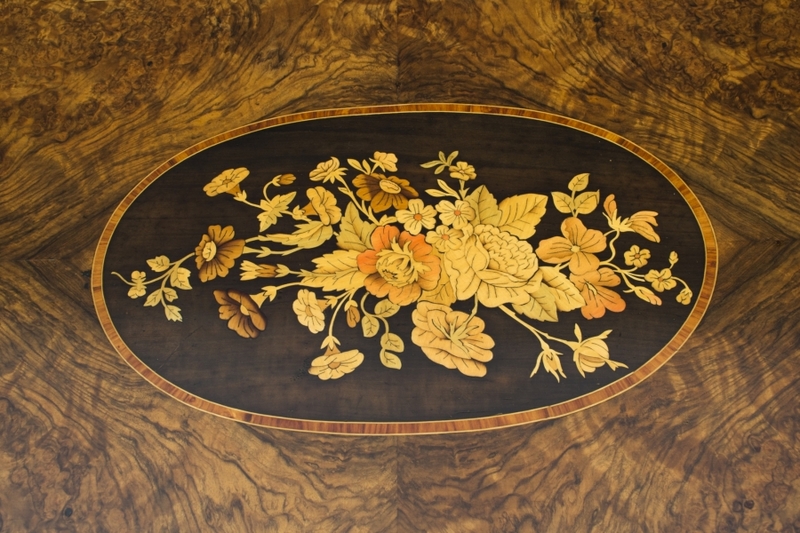 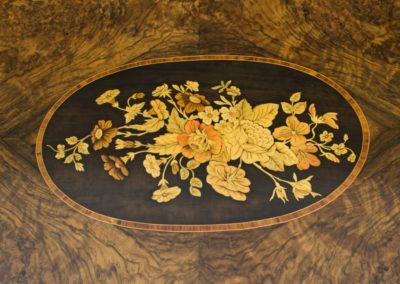 Of particular note is that it has an oval inset top with striking floral marquetry. 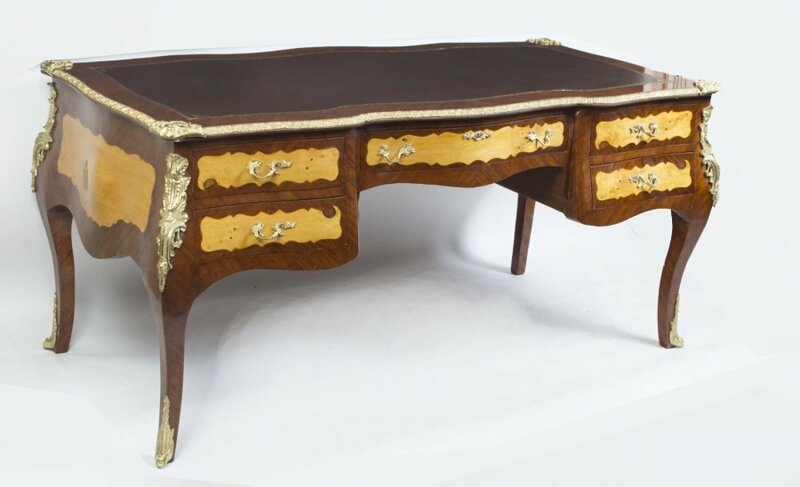 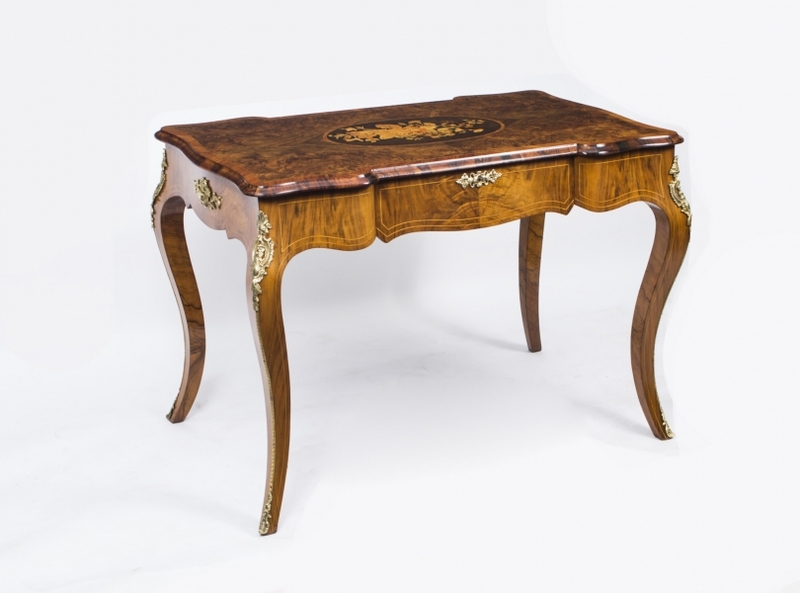 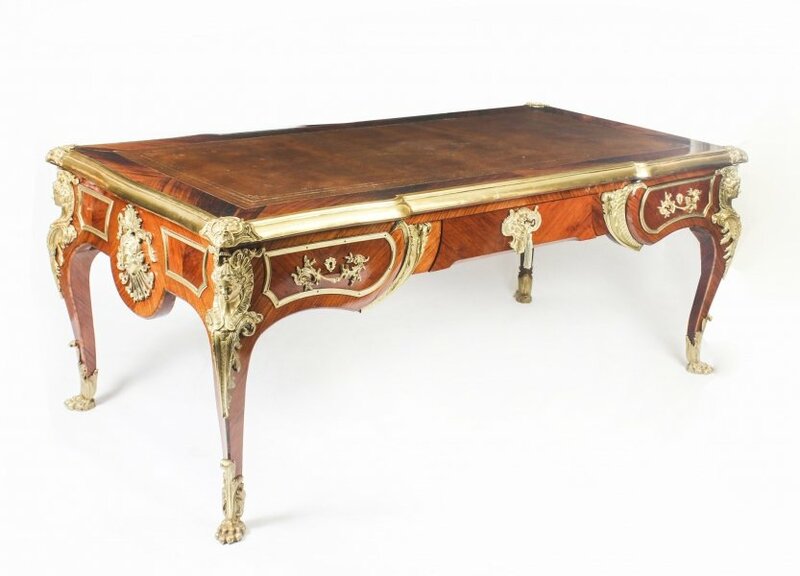 Furthermore, the antique writing table is finished with decorative ormolu mounts which will ensure that this antique writing table will attract attention and get noticed wherever it is placed. 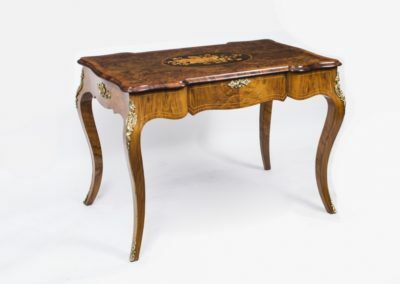 The table stands on beautifully shaped cabriole legs and has been finished on all sides so that it can stand freely anywhere in a room and does not need to be placed against a wall. 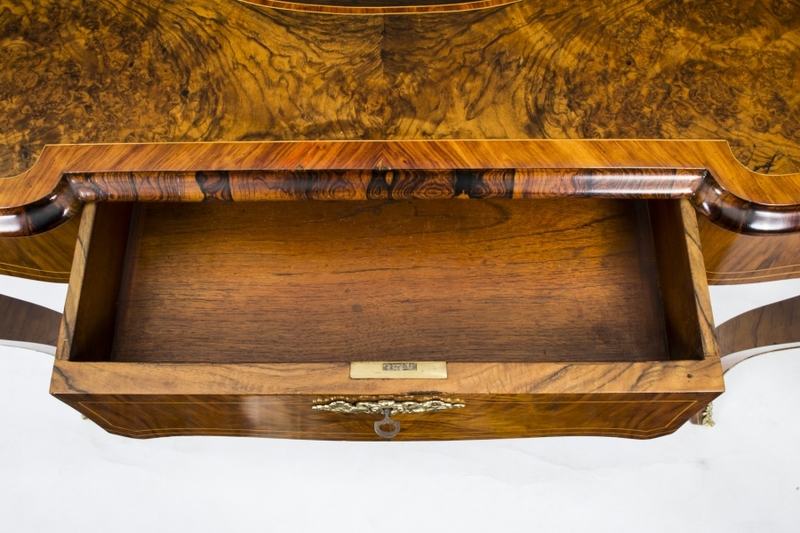 This makes it not only a decorative piece but a versatile and useful one too. 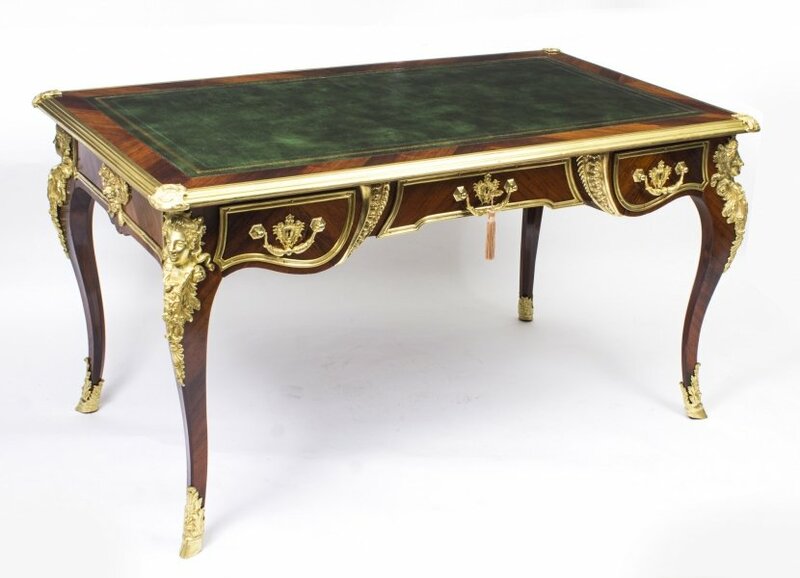 This lovely antique French writing table is offered for sale in fully restored condition for just £1950. 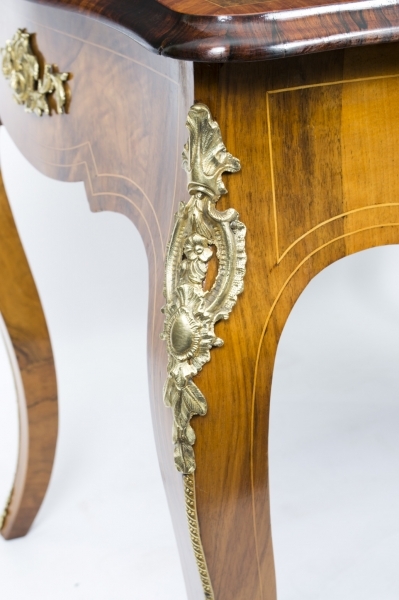 All restoration work has been carried out in our own workshops by our own craftsmen. 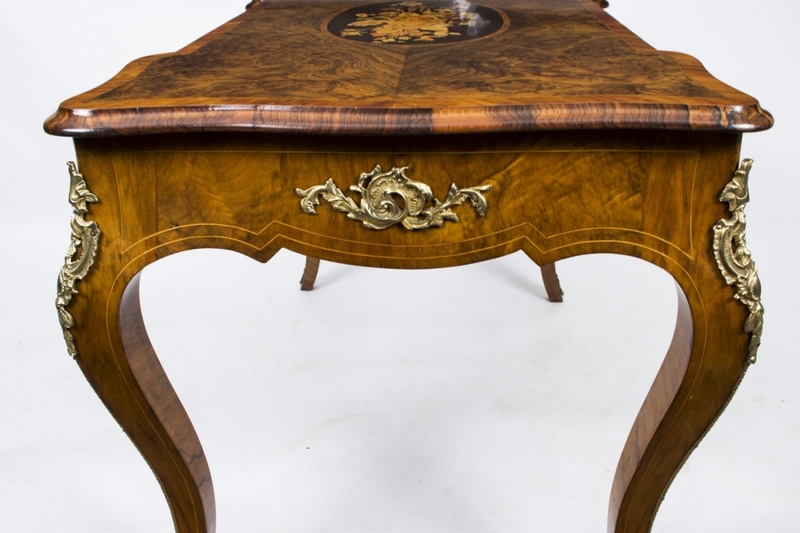 We would welcome, and encourage, your personal inspection of this bureau plat table which is located in our north London showrooms. 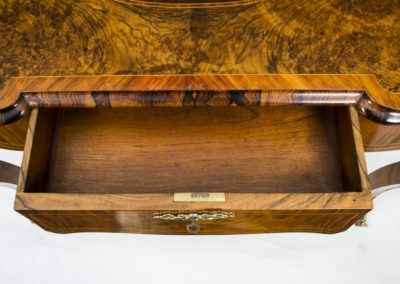 If you are unable to vist the showrooms please feel free to speak to one of ur furniture experts on the telephone – the number is +44 20 8809 9605. 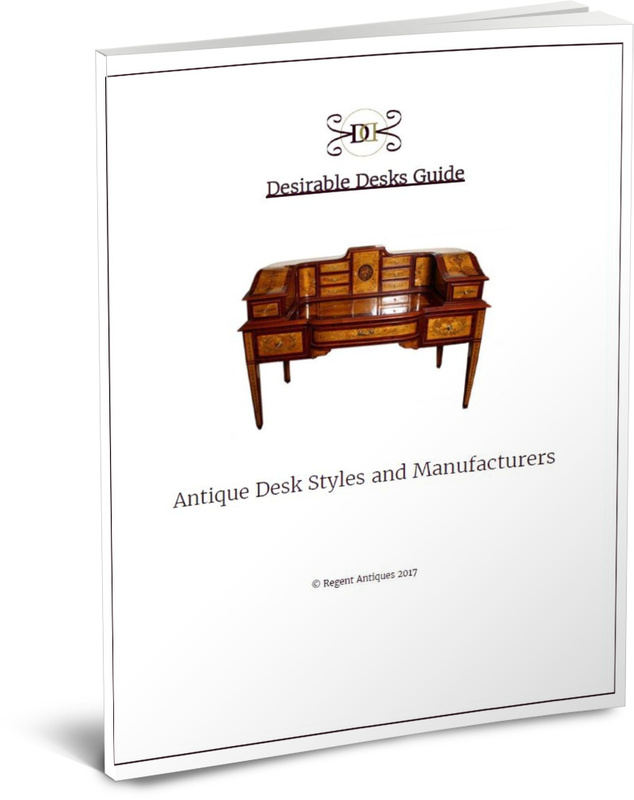 It would be helpful if you could quote our reference 07226 when calling as we do have a large inventory of desks and other antique furniture. 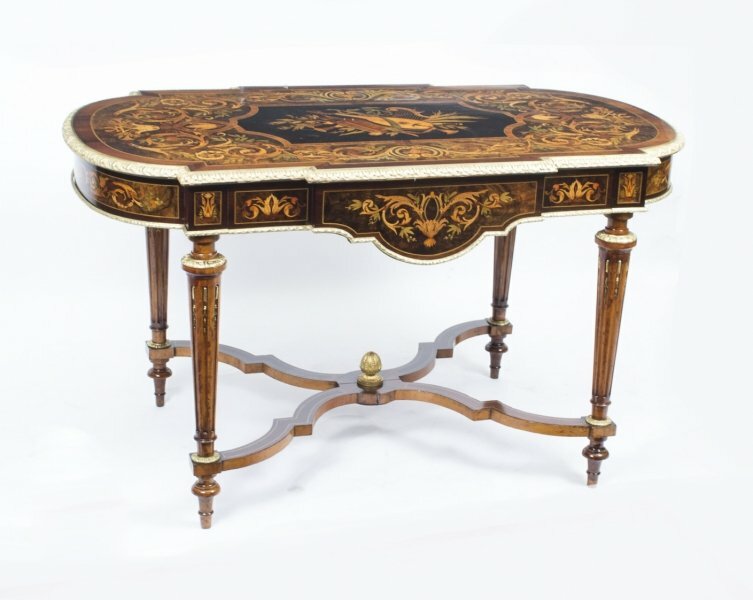 The dimensions of this table, in cm are as follows: 72 H x 104 W x 66 D. In inches that would be: Height 2 ft 4 in x Width 3 ft 5 in x Depth 2 ft 2 in.